The acclaimed 1991 animated drama from Isao Takahata is coming to U.S. theaters for the first time in 25 years on January 1, and Ridley will be heading up the voice cast alongside Dev Patel. The actress voices Taeko, an unmarried 27 year old who has lived her entire life in Tokyo. While traveling by train to visit her family in the country, certain memories flood back of her as a schoolgirl in 1966, and she starts to question whether she has been true to herself. In the video below, courtesy of Entertainment Weekly, Ridley reflects on the importance of her character, as well as on the fantastical legacy of Studio Ghibli. “For a film to center on a woman in the 60s and 80s and have been already released 25 years ago and cinema still being where it is today, with people not be representing right, is very exciting,” she says. 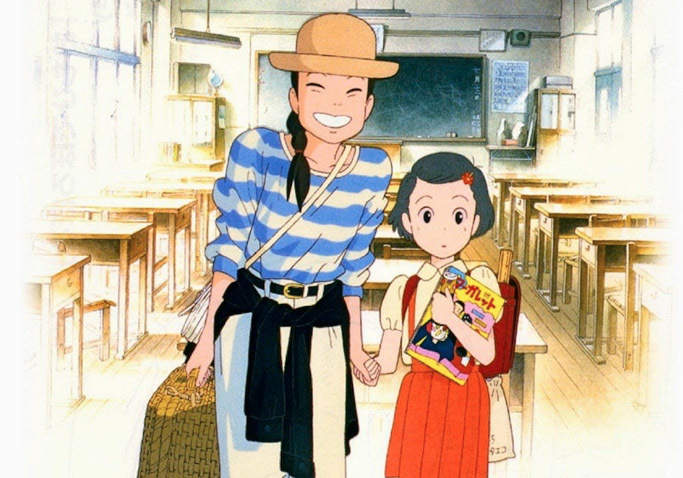 “Only Yesterday” opens at New York City’s IFC Center on January 1. Distributor GKIDS is planning a nationwide expansion on February 26.